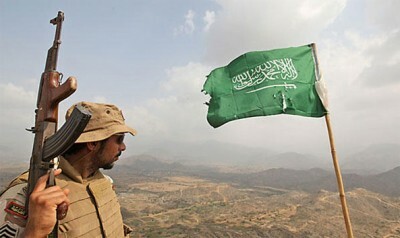 For a month now, the Kingdom of Saudi Arabia has been engaged in hosting forces from 20 allied states in what it has dubbed a Saudi-led Islamic Coalition. Its formation was announced last December in boastful fashion, though the Kingdom’s officials were careful to exclude Shia states from the equation of security. They were not part of their Islamic world. In December, the language used was that of an “Islamic Coalition” in the making. “It is time,” claimed Saudi Foreign Minister Adel al-Jubeir, “that the Islamic world take a stand, and they have done that by creating a coalition to push back and confront the terrorists and those who promote their violent ideologies.” Who those terrorists were was always the open question. The announcement could barely be taken seriously. Here, another coalition of the daft and brutal had been created, a situation the Middle East has become accustomed to since President George W. Bush led his charges and satraps (or at the very least pretended to direct them) into the bloody desert sands of Iraq in 2003. The issue of who was causing the greatest mayhem was in no doubt then, just as it now. When states band together to bomb in the name of higher values, the bloody muck comes to the surface. According to Riyadh, this latest massive drill constitutes the largest concentration of military forces in the area since the Desert Storm campaign of 1991 mounted against the Iraqis. “We are testing our infrastructures, our airports, our seaports, our airbases, to make sure we can host such a coalition,” claims Brig Gen. Ahmad al-Assiri. The figures for this celebrated coalition vary, though one of 350,000 keeps coming up, a magic reiteration that serves no purpose other than to inflate and confuse. At no point have massed infantry formations been noted on a scale to justify such a figure, though there is a general sense that the air component is serious enough, backed by tanks and infantry, should the need arise. As ever, this ramshackle coalition is only as coherent as its objectives, which is, from appearances, one directed at the enemies of Sunni states. So far, targeting Yemen has been high on the list, with Saudi Arabia taking the main line given its fears about Iranian-sponsored encirclement. No one can dispute that the Kingdom and its allies have been effective in Yemen, in so far as killing civilians is concerned. To date, 6,000 people (the Worth Health Organisation figure is 6,200) have perished, a point that made the European Parliament vote by a large majority to apply an EU-wide arms embargo on the Kingdom. The resolution makes for harrowing reading, noting “multiple reports that airstrikes by the Saudi-led military coalition in Yemen have hit civilian targets, including hospitals, schools, markets, grain warehouses, ports and a camp for displaced persons, severely damaging essential infrastructure for the delivery of aid and contributing to the severe food and fuel shortages in the country”. A report yesterday claims that over 40 civilians were killed in a strike on a market place in northern Yemen in yet another Saudi-led strike. Notwithstanding this, a billion dollar arms purchase by Riyadh is set to take place, one that will involve the sale of over 18,000 bombs and 1,500 warheads. The targeting of Islamic State targets in Syria is, in the scheme of things, tokenistic despite the group’s various efforts to target the Kingdom. On that score, the United States retains the lion’s share of that other coalition, though it has been Russian initiatives that have borne more fruit. This Islamic coalition is also being led by a state in crisis. Oil prices have slumped, with Saudi Arabia still insisting on glutting the market. The effects at home have been telling, with reductions in hiring and contract deals. Coffers are emptying rapidly. Nor is Riyadh particularly thrilled with remarks that have come from the White House of late. President Barack Obama has been pressing for something of a “Syrian-styled” peace deal in Yemen, an approach met with less than a warm response in Saudi Arabia. This was further aggravated by observations by the President in the Atlantic Magazine that “free riders” irritated him, suggesting that certain coalition partners were not pulling their weight. As is ever with such complex, ghastly and distorted relationships, Prince Turki ended the letter on a moderate note. Having issued a tongue-lashing, a conciliatory conclusion was in order. “We will continue to hold the American people as our ally and don’t forget that when the chips were down” Saudi and US soldiers “stood shoulder to shoulder”. A fine summation of Saudi foreign policy in script and action.